Here is the definitive "manual" on fighting a special ops war within the church. 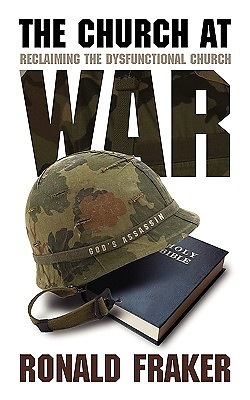 The Church at War is a radical book dealing with a radical problem that will bring about a radical solution and eliminate the Taliban of Satan's army within the church. It is specifically written for church leaders, senior pastors, board members, and church members who have experienced the devastation of dealing with a deeply entrenched insurgency. In reading this book you will learn how identify the problems within the church that wound so many. You will learn how to bring healing to those who have been wounded and how to prevent further casualties. In so doing, you will help to reclaim the church. Here are practical and proven weapons to eliminate problem makers and restore health to the body of Christ.